Are you thinking differently? If not, you’ll get left behind.. While most of my focus is in the retail sector of commercial real estate, I also develop mixed use apartment projects in New Jersey. More recently, I began realizing and seeing the correlation between retail and residential projects. 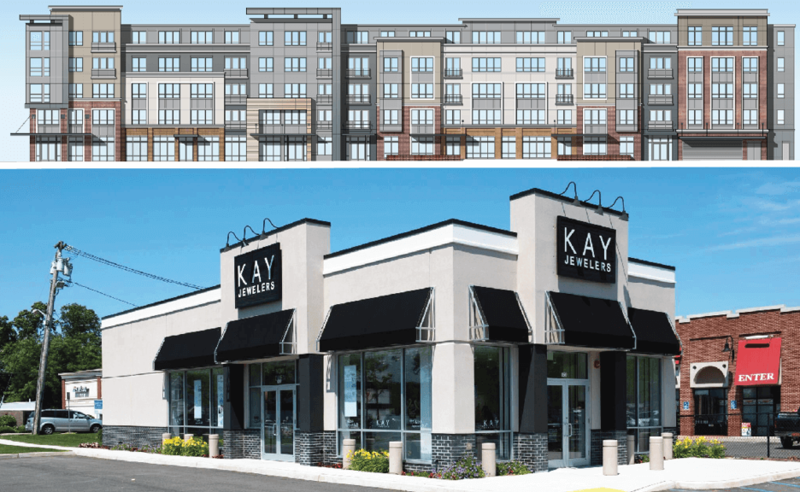 While designing the size of a residential unit, understanding the construction of a parking deck, and the allocation of one, two, and three-bedroom apartments couldn’t appear further from the retail sector, I think there are more correlations than most would believe. And I don’t mean the obvious topics which every development site has to contend with like construction costs and projected revenue. I am referring to a more personal connection; if you understand how people shop, shouldn’t you also understand how people live?? Now I may have just lost many of you but consider this; if you are a retail broker marketing the ground floor retail of a new mixed-use project or a developer looking at a site that maybe should be a hybrid-mixed-use project, you SHOULD LISTEN to this. If you want to be a successful developer in today’s market or a good broker, can you really afford to NOT understand this correlation? Perhaps this works in the prairie fields of Nebraska, or the swamps of Central Florida, but in the Northeast and in my world where so much is and has changed, I believe one MUST attempt to understand this new world. Not only is retail undergoing an evolution, but the way people live has changed drastically as well. It is not by coincidence that these things are changing simultaneously. The instant gratification that the internet has brought, has, in my opinion, created demand and expectations in the way we live. From renters in a new building wanting to have amenities in their building and access to mass transit, restaurants, free-wifi, and grocery stores, to the Amazon shopper who wants same day delivery. This used to be viewed as a Millennial Evolution, but it is obvious that it has bled to all demographics and all ages.